Connectivity Wireless is a top wireless service provider that delivers best-in-class distributed antenna systems (DAS) and converged network solutions. Connectivity elevated their status after installing a robust DAS for the One World Trade Center. After attaining this high honor and success, they felt they needed a new website to accurately portray their achievements and the excellence of their service. In the end, we were able to deliver exactly the kind of site Connectivity Wireless was looking for. 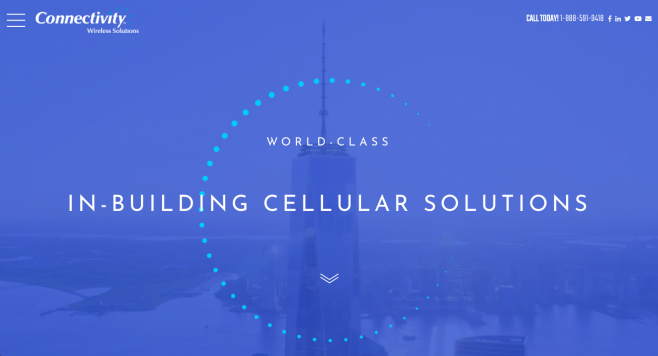 Connectivity’s new site features a full screen banner with a blue overlay showing aerial footage of the One World Trade Center. The banner also features Connectivity’s icon, a spinning dotted wheel. With a sleek sidebar navigation, users can easily move about the site. 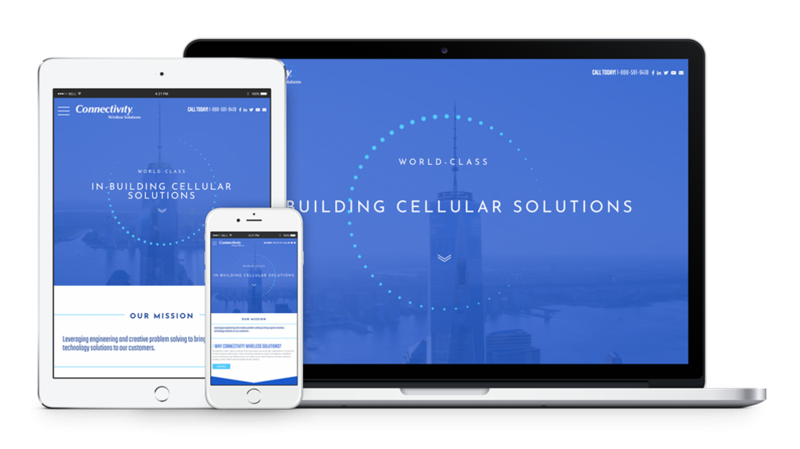 Each page of the Connectivity site was custom designed to create the right aesthetic and offer users an excellent and fun user experience. The new Connectivity site was developed using responsive design. This means that the entire site will automatically adjust to perfectly fit the screen of any device. The website also uses WordPress’s content management system, allowing Connectivity to easily manage their site’s content. With their new website, Connectivity can start building a greater online presence and start taking their brand recognition to the next level.